Currently, Thomson Reuters teams are evaluating the applications. Each team has to submit their top 5 on August 15th. That’s when the final judging team comes in and will make the final selection. We expect to announce the winners early September. In the meantime don’t forget to update your venture profiles to stand out from the crowd. We will keep you posted! Do you want to partner with a global financial services company to accelerate your business? Then get involved in the Africa Startups Challenge! Thomson Reuters, in partnership with Venture Capital For Africa (VC4A), is launching an initiative to provide a platform for startups to partner as you grow your startup into a lucrative business. – The Challenge will provide you with the opportunity at a potential partnership with a global financial services and professional information company. – Increase visibility for your startup by being showcased on our global investment platform called Eikon. 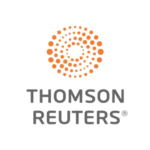 – Opportunity to attend the Thomson Reuters Africa Summit 2016. – Cash prize for the winning startup. Master card is partnering with 100resilent cities to boost digital payment as a way of making smart cities more efficient. This is a good announcement on opportunities for partnerships for start-ups. Looking forward to applying. Thank you.